BROTHER live today is a powerhouse celtic tribal trio. The band's legendary live shows have reached a whole new level, with soul brothers Angus, Dalbo and Drew filling the stage with their energy and sound. 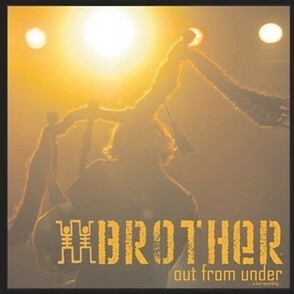 Recorded live at The Coach House in November 2009, 'Out From Under' is BROTHER's first release as a tribal celtirc trio. The album captures BROTHER's pounding tribal sound - a fusion of bagpipes, didgeridoo, percussion and stellar vocals.